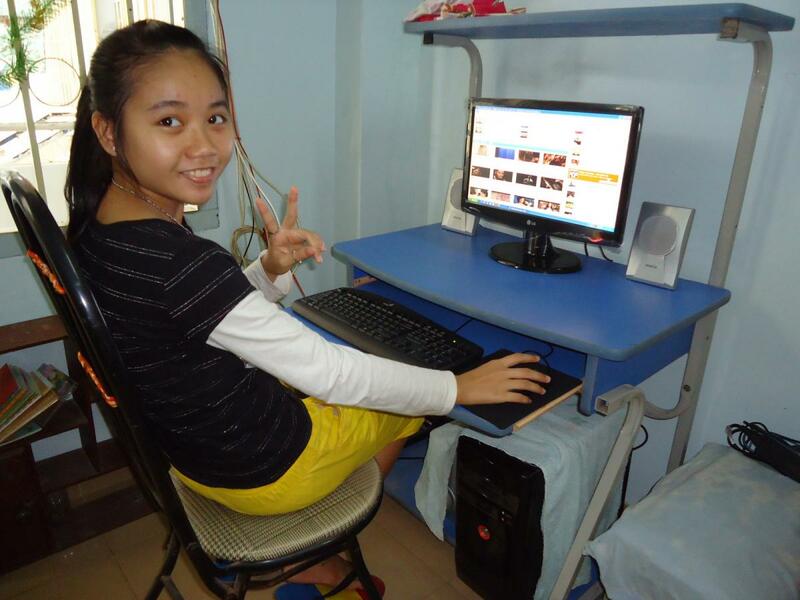 On April 16, 2012 we brought new computers to the Sunflower Children’s Home. When Liem Hong of New Jersey, USA visited the children at Sunflower he wished to do more to improve their lives. Sister Hoa said that the children enjoyed using the computer, and that they could practice skills that would help them both in school and later in their lives. They had two old computers that had served their purpose for several years, but they had become inadequate for any practical use, and the center hadn’t been able to afford new ones. 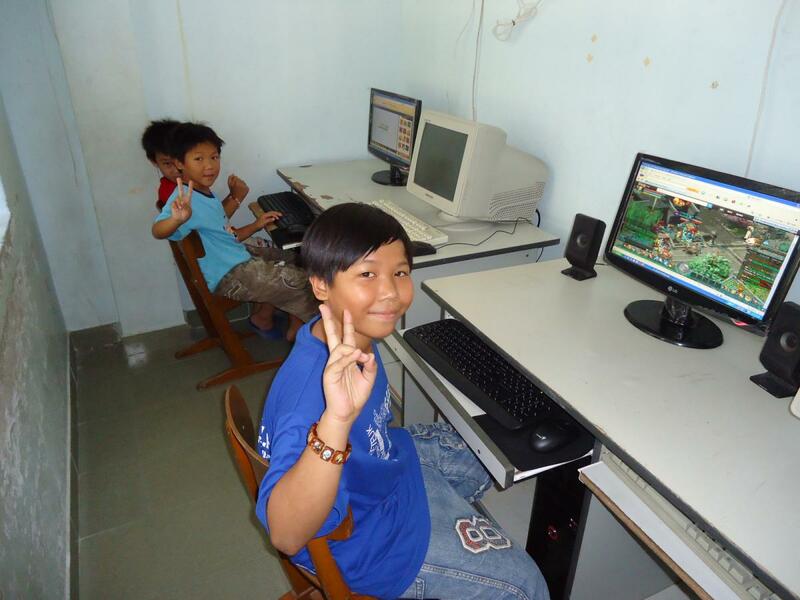 Through Liem’s generosity, the Sunflower Children’s Home now has three brand new computers! As soon as we had finished setting them up, the children were lining up to use them. It was a wonderful day at this loving home for Nha Trang’s children. Liem had visited Nha Trang earlier in the month, and after doing an incredible amount of charity, he pledged to continue helping those most needy in Nha Trang from his home in the States. Within a week of his return he put his plan into action, and we’ve been helping him coordinate his kindhearted efforts. This is just the latest example of Liem’s mission, and from all of kids at Sunflower, we thank you!